To repel water and deicing salts, use an acrylic-resin sealer or reactive penetrating sealers. If you also want to repel oil stains, use a siliconate (a type of reactive penetrating chemical sealer). Owners of newly installed concrete are often told by their contractors to seal the concrete. What they usually aren’t told are the basics, such as why they should seal it, the best concrete sealer to use, how to apply it, and suitable applications. Answers to these questions aren’t easy to come by when you shop for sealers at a building supply store or on the Internet. Instead, you’re typically bombarded with a confusing array of performance claims and scientific terms. To give you some simple answers to the top 10 sealer questions asked by users, we contacted Bill York, technical advisor at V-SEAL Concrete Sealers, Lewis Center, Ohio. Here is his plain-language advice for new installers. Exterior concrete in any region subject to freeze-thaw cycles should be sealed (see these regional climate maps). Many people are surprised to learn that freeze-thaw regions include all of New Mexico, most of Texas, Alabama, Georgia, South Carolina, and even portions of California, Louisiana and Florida. In other regions, concrete should be sealed for specific purposes such as stain repellence, dust reduction, abrasion resistance, chemical resistance or to maintain an attractive appearance. 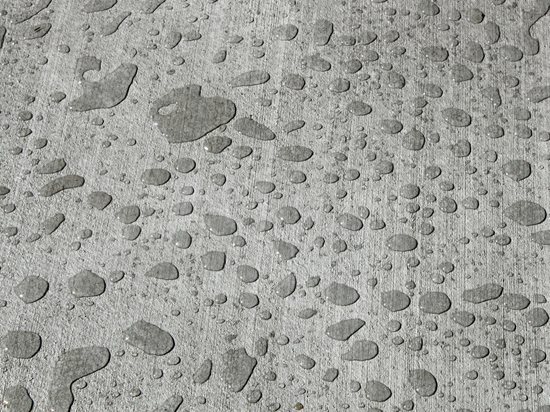 Four Types of Surface Protectant Products: What products are available for sealing and protecting my concrete surface? VOC Regulations: What should I be aware of? Moisture problems: How do I prevent moisture problems? Deicing salts: Will deicing salts affect sealer performance? Effects of temperature: How will temperature affect sealer reactivity? Condensation: How do I deal with condensation on sealers? Acrylic-resin sealers and chemically reactive penetrating sealers (silanes, silicates, siloxanes and siliconates) generally cost $0.15 to $0.25 per square foot. High-performance topical coatings, such as epoxies and urethanes, will cost more -- typically $0.50 to $2.50 per square foot. In most cases, the investment in a sealer is well worth the expense, when you consider that the cost to replace concrete is generally $7 to $8 per square foot. That all depends on the type of sealer you apply. Most chemically reactive sealers are nearly invisible because they penetrate into the concrete. Solvent-based acrylic resin sealers and epoxies provide significant color enhancement and give concrete a high-gloss wet look. Water-based acrylic resin sealers provide moderate color enhancement and a satin appearance. Urethanes (generally applied as topcoat over epoxy) are available in a wide range of finishes, from matte to gloss. Many sealers can also be colored with translucent or opaque tints. How is sealer applied, and can I apply sealer myself? Many sealers can be applied by a do-it-yourselfer using simple tools, such as a paint roller of pump-up sprayer. These include acrylic-resin sealers, reactive penetrating sealers, 50%-solids epoxies and 50%-solids urethanes. High-performance sealers such as 100%-solids epoxies, polyaspartic urethanes and polyureas require professional installation using special tools and application techniques. Most acrylic-resin sealers and certain reactive penetrating sealers (siliconates and silicates) should be applied as soon as new concrete can withstand the weight of the installer. Other reactive penetrating sealers (silanes and siloxanes) and most high-performance coatings, such as epoxies and urethanes, should only be applied after the concrete is fully cured (generally 28 days). Almost all sealers can be applied after the concrete is 28 days old. Again, that depends on the product you use. To repel water and deicing salts, use an acrylic-resin sealer or reactive penetrating sealers. If you also want to repel oil stains, use a siliconate (a type of reactive penetrating chemical sealer). Be aware that acrylic-resin sealers may be weakened by petroleum distillates, and reactive penetrating sealers are generally weakened by acidic chemicals that chemically etch concrete. For resistance to these substances, use a high-performance epoxy or urethane system. Reactive penetrating sealers generally have little effect upon the concrete surface profile or traction. Most topical coatings can affect concrete surface profile, and may require the use of anti-skid additives in areas exposed to foot or vehicle traffic (see Making Concrete Slip Resistant). Because they penetrate the concrete, reactive chemical sealers will last the longest and generally only wear away if the substrate surface itself wears away, which may be 10 years or longer. You can get similar performance by using an epoxy or urethane system, which generally lasts 5 to 10 years depending on traffic exposure. Acrylic-resin sealers offer the shortest performance life - generally 1 to 3 years. Concrete is locally made and can last for many decades with proper care. As sealers extend the useful life of concrete, they are an important component of “green” building and their use can qualify for additional LEED points. As for the sealer itself, water-based products are generally considered the most environmentally friendly. Some solvent-based sealers can’t be sold in certain states, but new environmentally friendly solvents are now available. Contact your concrete sealer supplier to learn more about the regulations in your state.